It’s that time again – Fabi signed up for his third triathlon in a row. TIme for training to start! Training in one sport is hard enough, but having to be at the top of your game in swimming, running and biking is very demanding. Protein is an important component to any fitness routine. This grilled turkey taco patty recipe is high in protein since it is made with AllWhites® 100% liquid egg whites, a lean source of protein. The egg whites are a fat-free and cholesterol-free alternative to regular eggs with no yolk. They have 0 PointsPlus® value per serving on the Weight Watchers® program, making them a great diet food. 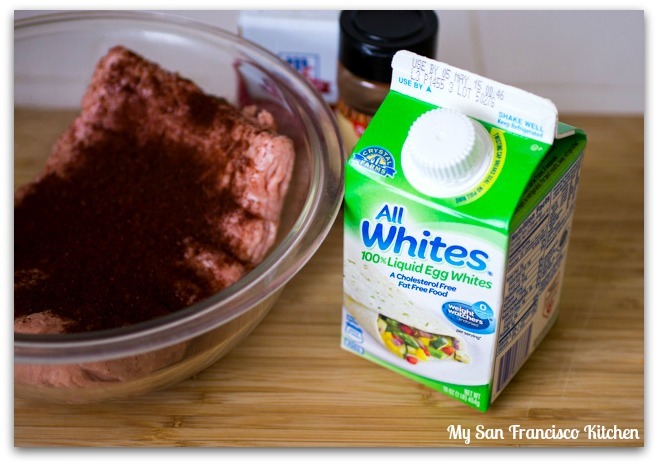 AllWhites Egg Whites are located in the refrigerated dairy section of the grocery store. The egg whites hold the patties together very well. I grilled them on my indoor grill and they did not fall apart at all! I also like how this recipe incorporates a lot of healthy vegetables, like red bell pepper, corn and avocado. The lime juice gives this dish so much flavor. To spice things up, you can also add chopped jalapeño to the bell pepper salsa. I love how quick and easy this recipe is to make for lunch or dinner. One lucky reader will win one month’s supply of coupons. All you have to do is enter via the Rafflecopter widget below by completing at least one task (i.e., leave a blog post comment, follow social media, tweet, etc.). Giveaway ends 4/15 @ 12am PST. US residents only. Good luck!! Heat grill to medium-high heat. 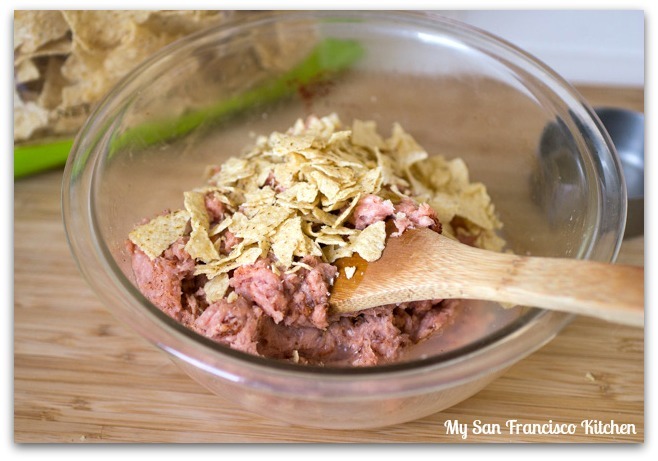 Gently mix turkey, AllWhites egg whites, crushed tortilla chips, chili powder and salt and pepper. Shape into 5 patties, about ½ inch thick; refrigerate until ready to cook. Mix the lime juice, sugar, and olive oil in medium bowl. Add corn, bell pepper, onion and cilantro; stir until well combined. 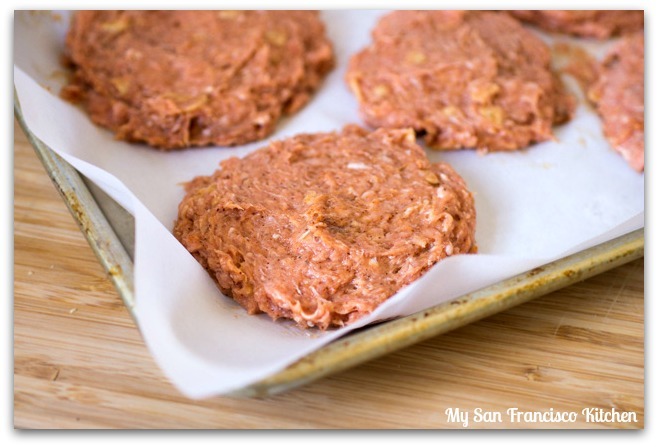 Place turkey patties on grill; cook 8 to 10 minutes, turning once, until no longer pink in center. 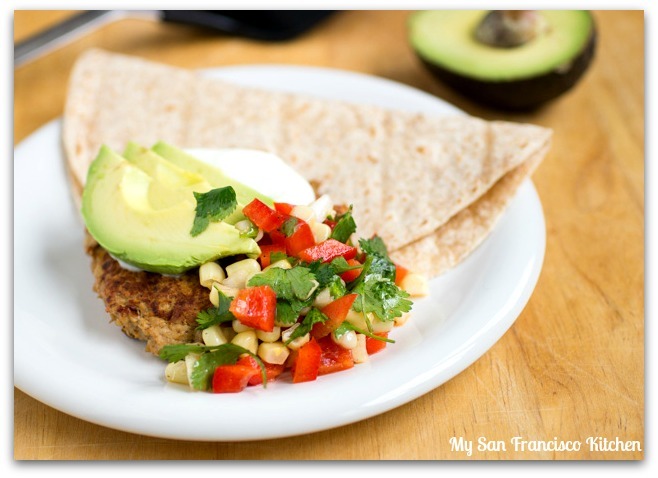 Serve in a whole wheat tortilla with avocado and sour cream. This entry was posted in Dinner, Giveaways, Lunch, Mexican and tagged avocado, bell pepper, corn, mexican, tacos. I love tacos! And they can be so healthy — no need to fill them up with loads of fatty meat (although of course they’re good that way too!). This looks just up my alley — thanks. Aside from ordinary baking, like breads and cookies, I would like to try them with omelets or egg burritos. I love tacos – and these look awesome!!!! Great looking tacos with healthy turkey is the delicious and healthier way to enjoy some of our favourites. Good luck for him on the triathlon. The grilled turkey tacos look delicious! I love that it’s a healthy option my kids will love too!! I’d like to try Vegetable & Grain Quiche. The turkey tacos look so yummy! Im excited to try some omelets with the egg whites! These grilled turkey taco patties look so tasty! I need to cook using turkey more often. I sometimes forget about it, which is silly because we love it! I also don’t have a favorite, but they are a bit healthier so I usually buy them! Still trying different kinds!